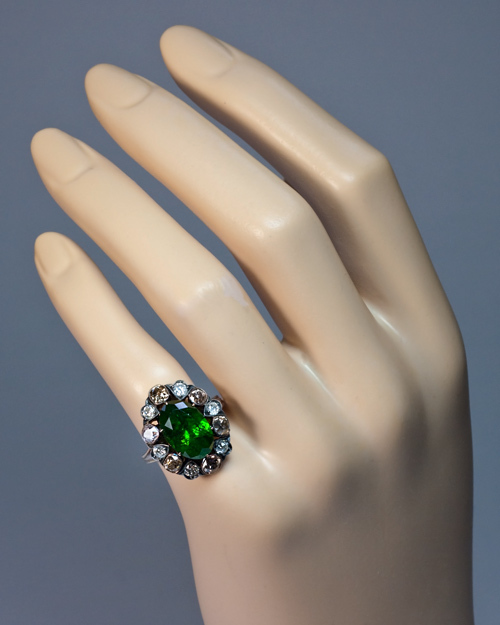 The ring is set with an exceedingly rare 5.1 carat Russian Ural demantoid, encircled by a single row of six white and six fancy colored old cut diamonds with an approximate total weight of 1.80 ct. 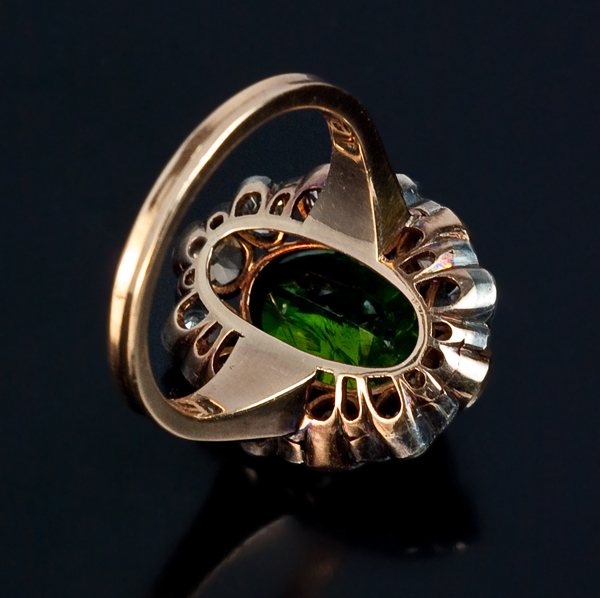 The dark grass green stone is full of ‘valuable’ so-called “horsetails”, inclusions found only in demantoids from the Urals. 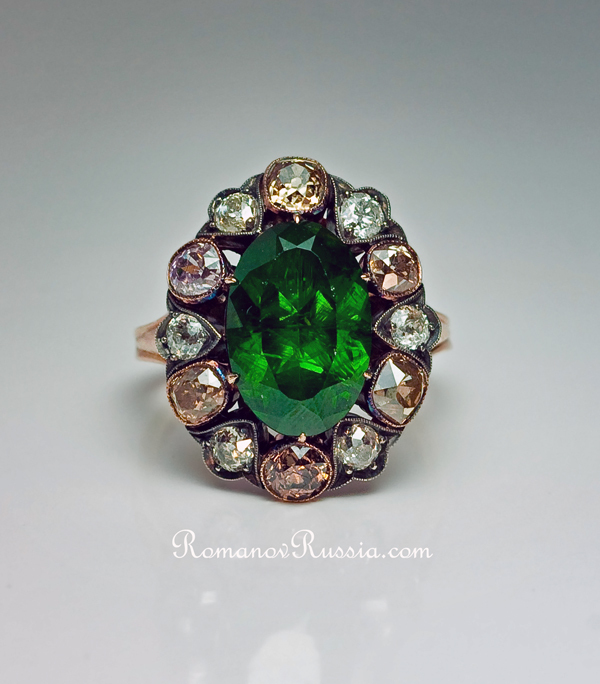 First discovered in the Russia’s Ural mountains in 1868, demantoid became immediately popular and was highly valued by Russian aristocracy. 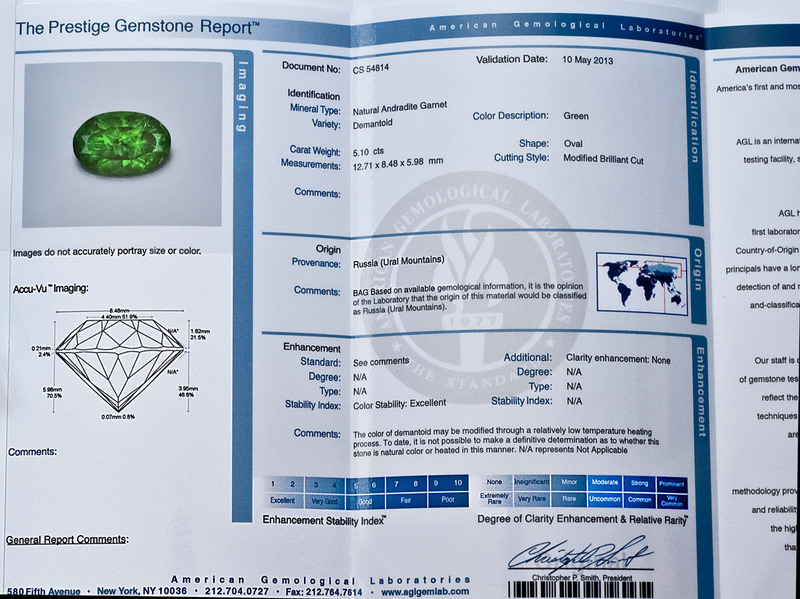 Modern supply of the Uralian demantoids is very limited, making the stone one of the rarest and most valuable gems on earth. 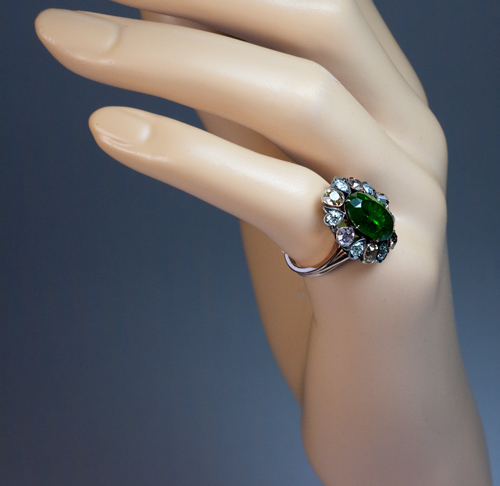 Demantoids are usually found in sizes of less than a carat, larger stones are extremely rare. 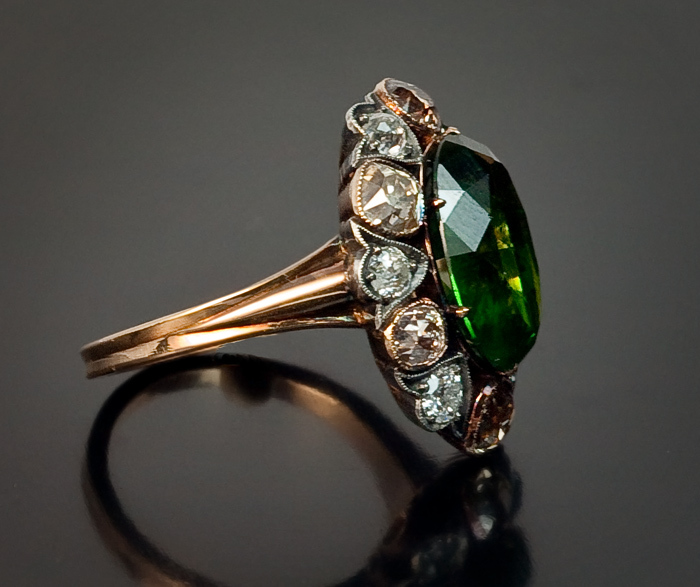 The diamonds are set in silver over rose gold. The shank is a later replacement. Russian control marks for antique silver and gold stamped inside the shank. 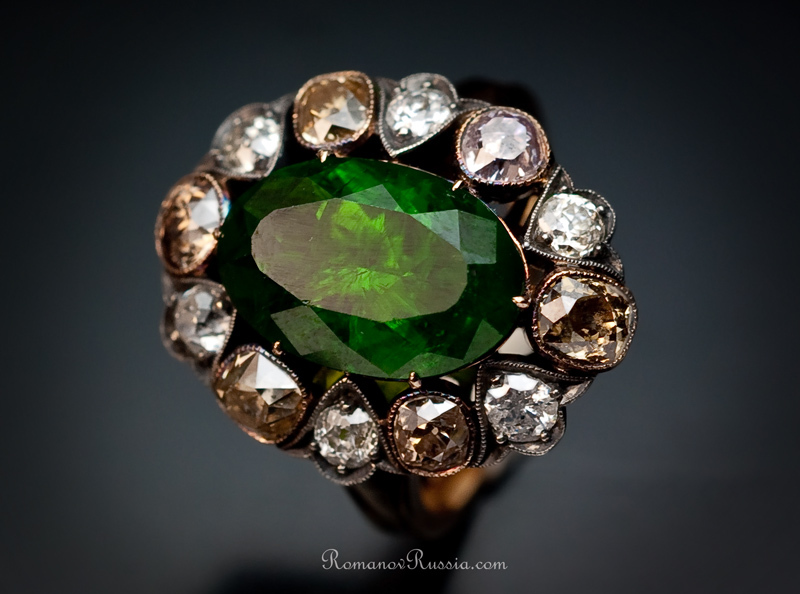 The ring comes with the AGL report CS 54814 which states that the demantoid is of Ural Mountains origin (Russia), has an excellent color stability, no clarity enhancement.